U.S. 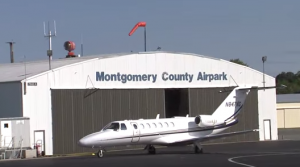 Senators Barbara Mikulski and Ben Cardin announced this month that Montgomery County has been awarded a $5,477,702 Federal Aviation Administration grant from the U.S. Department of Transportation (DOT) to rehabilitate Montgomery County Airpark (GAI). According to a news release, the grant will be used to restore more than 2,500 feet of pavement critical to airport operations. Montgomery County Airpark is a public reliever airport just outside Gaithersburg, Maryland. It serves as home to the Washington International Flight Academy, and its 4,200 foot runway makes it the closest jetport to Washington, D.C.